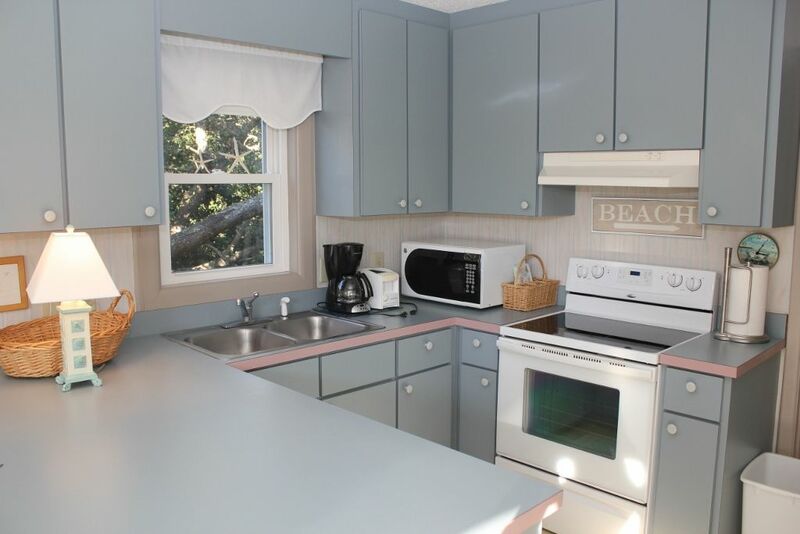 Ocean view Cottage, Single Family 3 Bedrooms, 2 Baths. Q*2S*Q*QSS. 3rd row to the beach. Central Air/Heat, Hot/Cold enclosed outside shower. Dishwasher, Washer/Dryer, Microwave, 2 CCTV's VCR, 2 DVD's, CD player, Library of videos, DVD's and audio books, WiFi, Phone, Ceiling Fans. 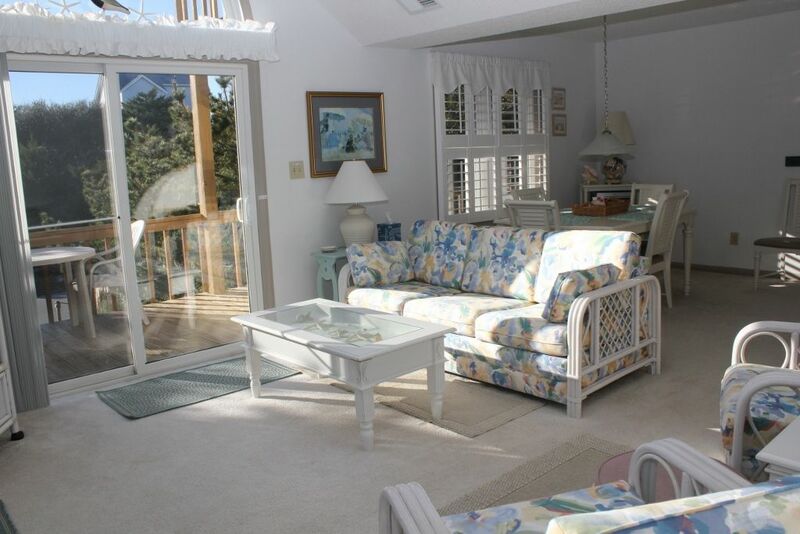 Furnished open and covered decks, beach chairs. 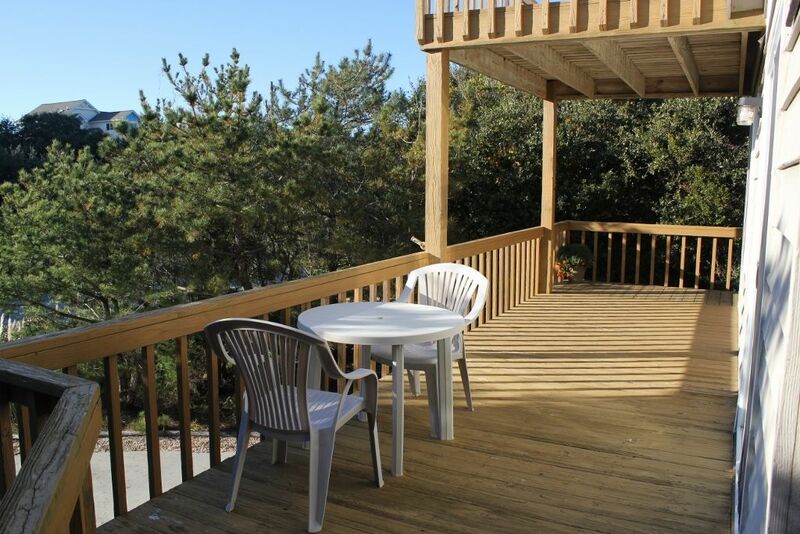 Exceptional ocean view off upper deck. 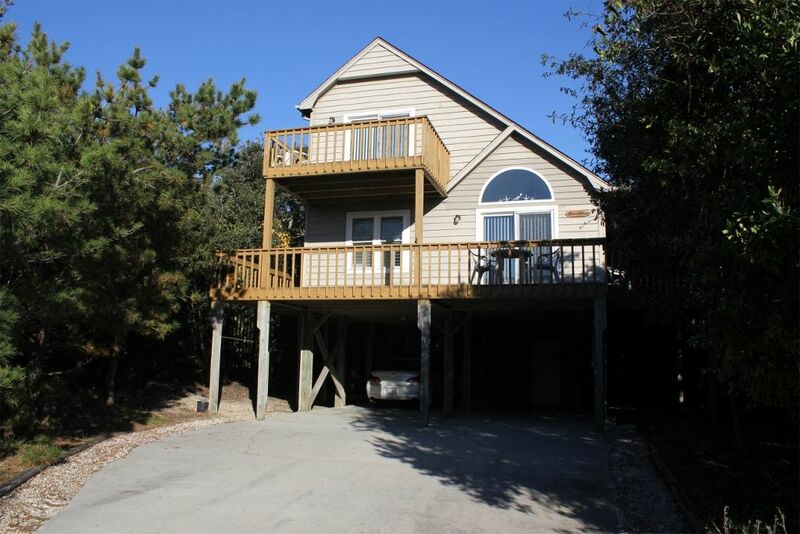 Very short walk to beach access (ramp with no steps)- great for beach carts. 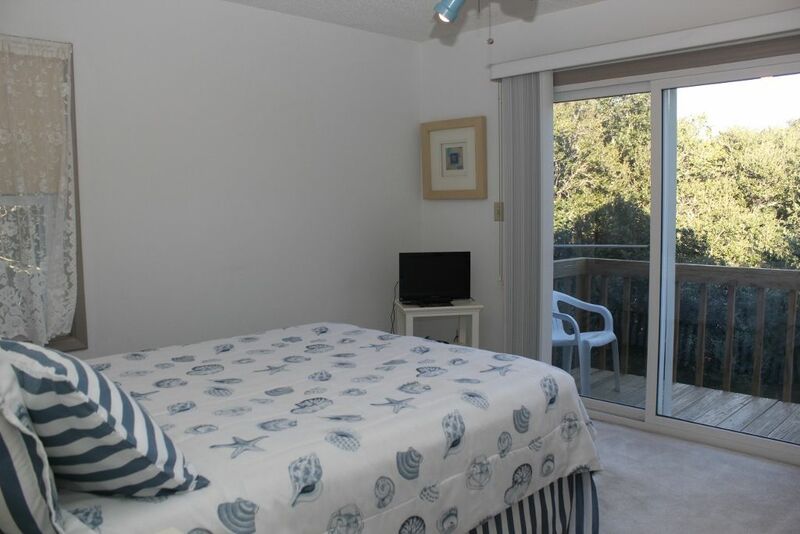 Linens provided with weekly rentals. Rents Saturday to Saturday. No Pets! No Smoking! 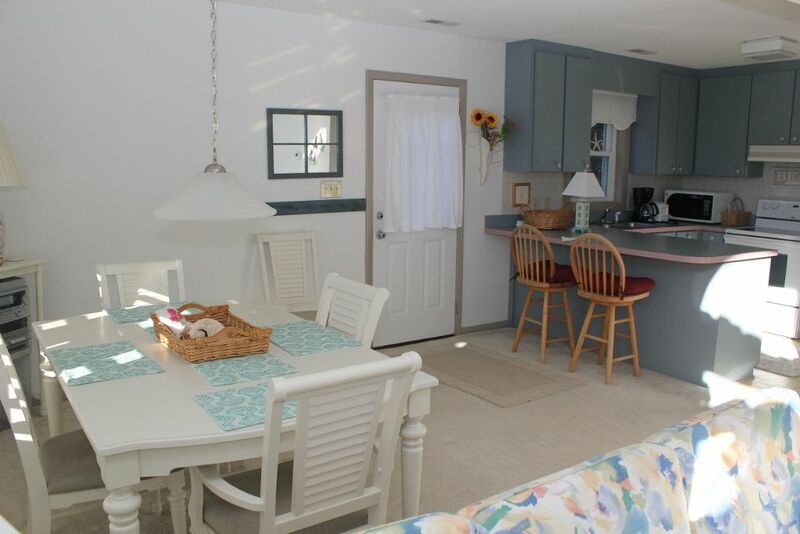 "Sunflower cottage is like home away from home. This is our second year we have stayed at this location. 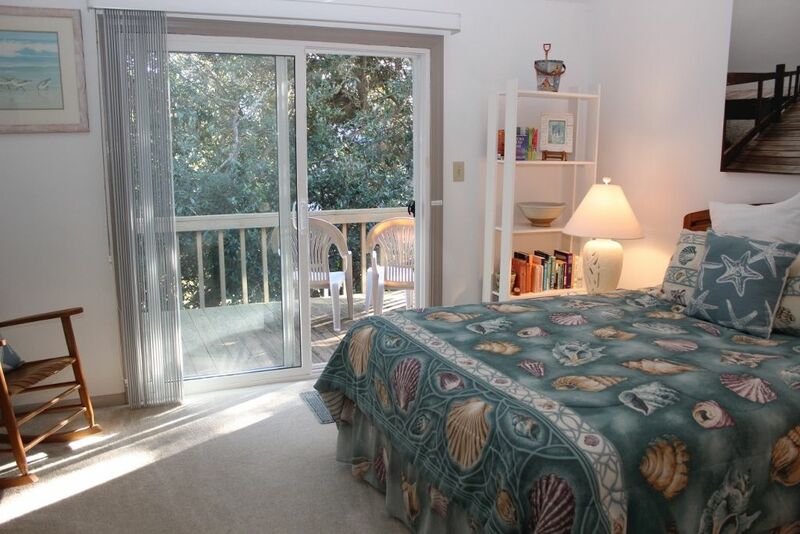 It has lots of natural light and is close to the beach. My daughter was a little upset with the TV service, but there is so much other things to do. 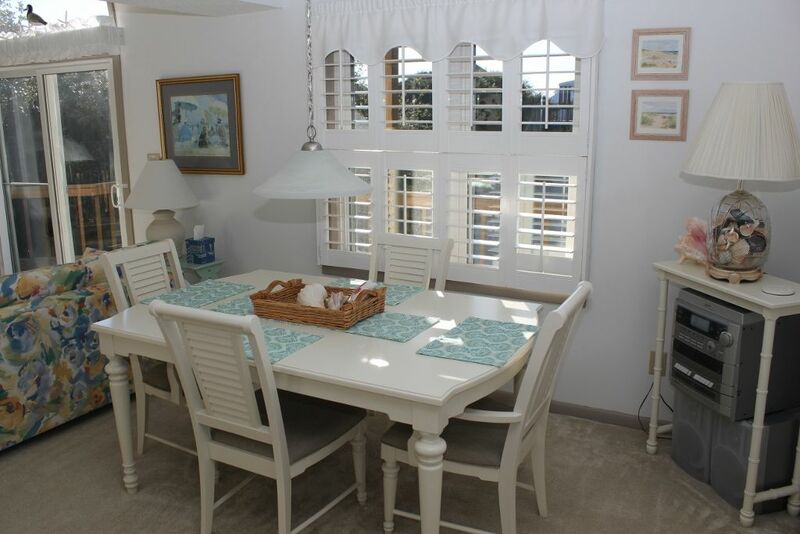 We would strongly recommend this house." "Very bright and clean house. 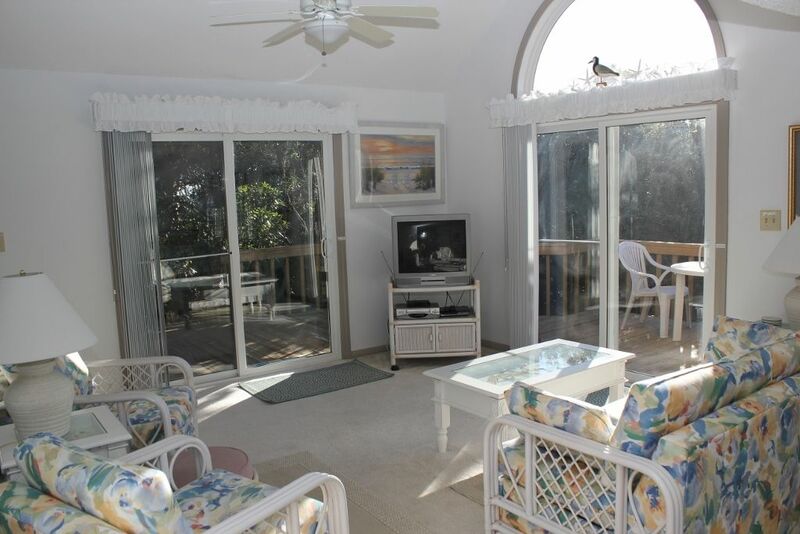 Close to the beach and short walk to public access. 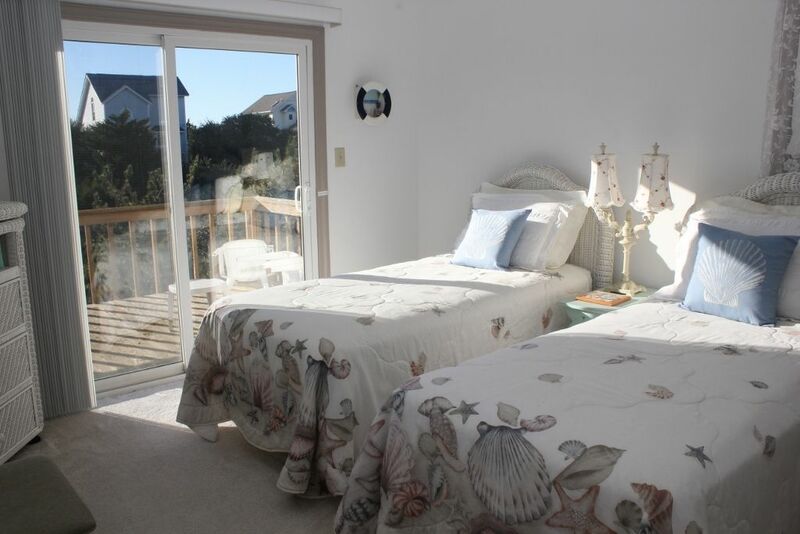 The only ocean view is on the deck off the top bedroom. Kitchen was fairly well stocked. Need just a few implements such as tongs and large serving spoons but overall very good supplies. 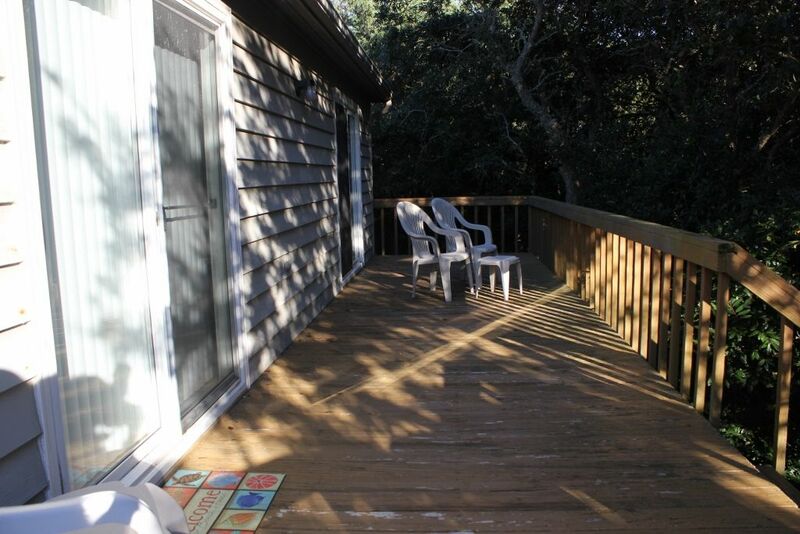 Shorewood Real Estate was very easy to work with. One of the fans in the bedroom was not working properly and they immediately sent someone to look at it and when it could not be repaired they brought us a fan to use. The only negative was that my husband was not happy with so few TV channels; however at the beach this was not a big problem. Enjoyed the wildlife around the cottage. There was a doe and two small fawns that kept reappearing in the side yard. 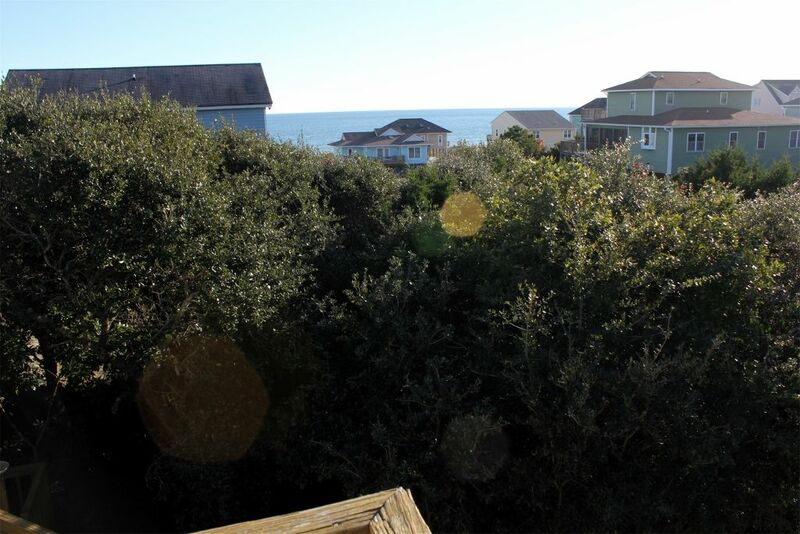 This is a real nice part of the beach, very quiet but very close to grocery store, etc. would certainly rent again."